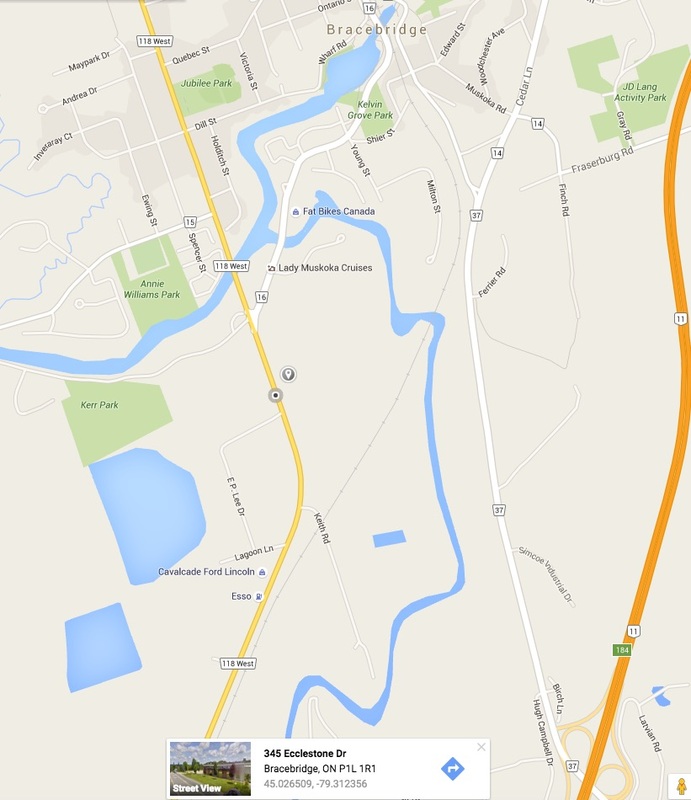 Due to weather and snow conditions, the Fat Bracebridge race is being moved to Sunday, February 26. (Sorry everyone. Some things are just beyond our control.) Peter from Fat Bikes Canada and I were on the trail together today in order to evaluate the situation and weigh various factors, and changing the date appears to be the best decision. Currently, most of the course has over 2 feet of snow with a solid base. The short-term forecast for Bracebridge, however, has two days of rain ending with a daytime high of 8° C on Saturday. 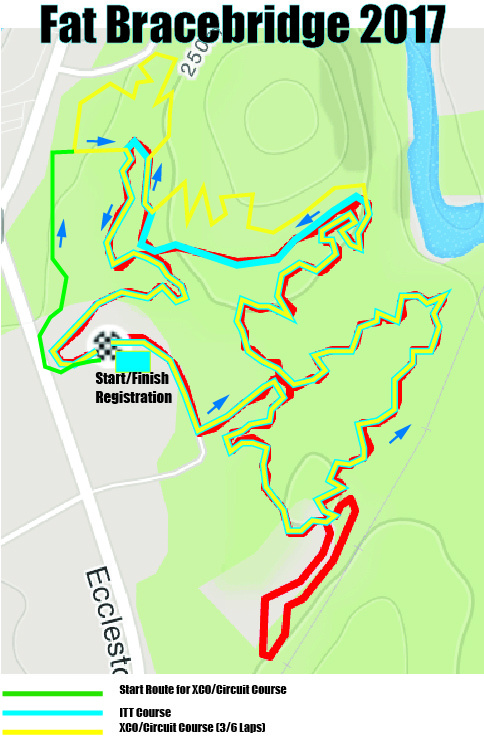 In short, most of the course will be completely unrideable on Saturday itself. BUT, as of Saturday night, we return to temperatures well below 0° C, with a high of -2° C for Sunday. Perfect! So, while we hate to mess with the schedule, a race on Saturday will mean the trails get badly damaged and people have a miserable time walking their bikes around the course. Conversely, course conditions will be ideal on Sunday. Peter will be grooming the next few days to ensure that the trails are in the best possible shape for Sunday. We apologize for any inconvenience. We realize that our customers have made plans and put a lot of work into getting ready for the race, and we have not taken this decision lightly. If you are not able to make it to the race because of the date change, we are more than happy to transfer your entry to one of our XCMarathon races coming up this year. If that doesn’t work for your schedule, we can also provide you with a refund early next week, following the race. Just email us at info@substanceprojects.com. For those who are now able to join us because of the new date and would like to sign up, event registration will be reopened at pre-reg pricing and stay open until 8pm, Friday, February 23. The trails are closed for riding Friday and Saturday to allow Peter to work his magic for the event on Sunday. 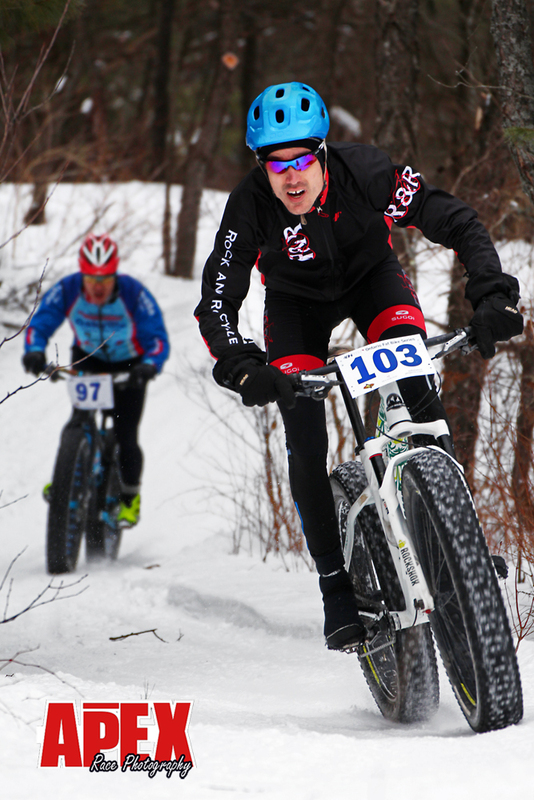 Head north to Bracebridge to the home trails of Fat-Bikes Canada, our event host. The race will start with a 2.5km ITT on somewhat technical trails, in which riders will go out individually at 30-second intervals. Then, after warming up and grabbing a bite, everyone will head out at High Noon for a mass-start 20k or 40k race. After the race is over, stick around for the post-race food, killer draw prizes and there are even some rooms available at the Quality Inn right next to the trails! When: February 26, 2017. Registration 9-10 am. 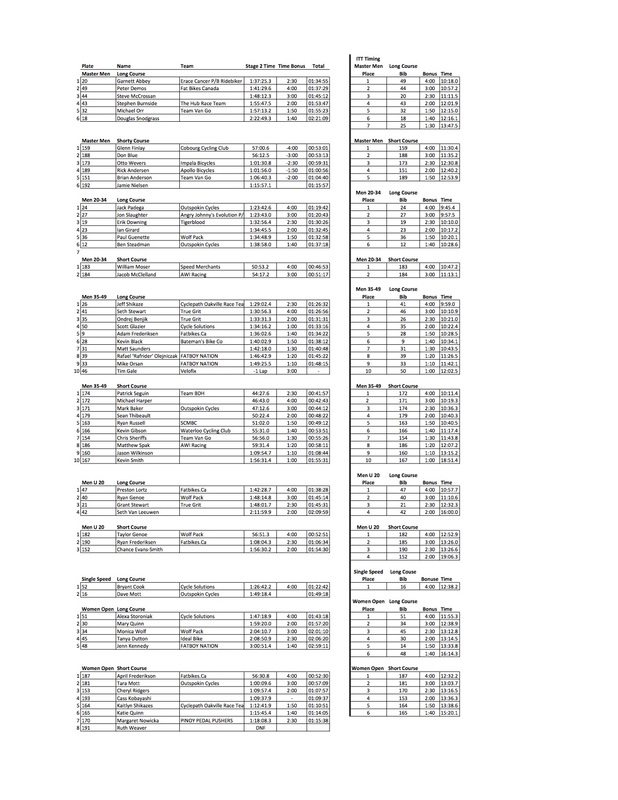 ITT starts at 10:15 am. Cross Country Race starts at noon. How long: 2.5k (ITT) 20km/40km. Permitted tires sizes: 3.5” or wider. Who it’s for: Everyone who likes to ride in the snow… or who wants to try it out! Fat-Bikes Canada has a great network of trails and lots of riding and we are looking forward to some wicked fast DH sections! 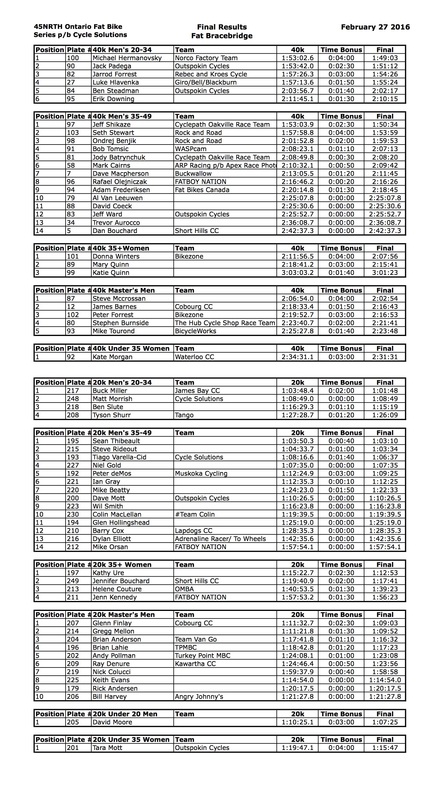 Timing: your ranking in the ITT will determine your ‘Time Bonus’ in the Stage Race. The start finish for the ITT and the XC race are the same. And there is a great shop and bike rental center just 400m away! 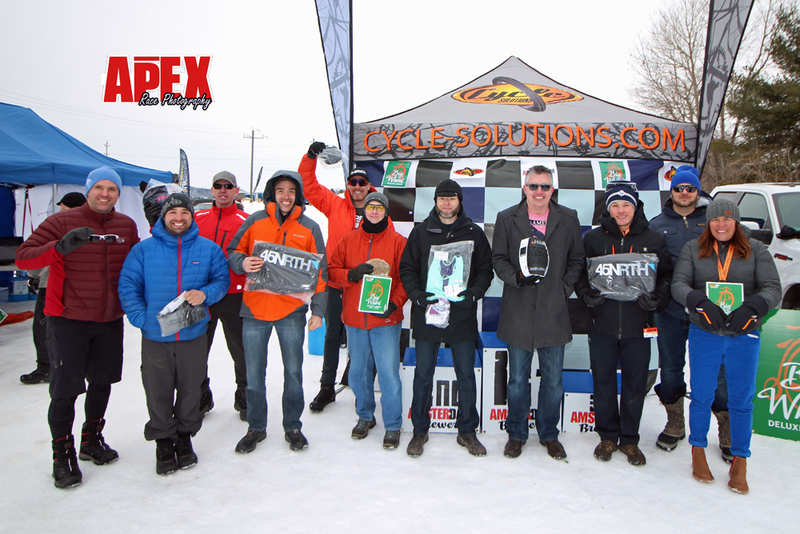 Event Pictures from Apex Race Photography are here!